Beautifully studded in a prong setting are five round sapphires in a row, exuding their mesmeric elegance. They are embellished in a half eternity style and dazzle brilliantly on the lustrous 14k white gold band. 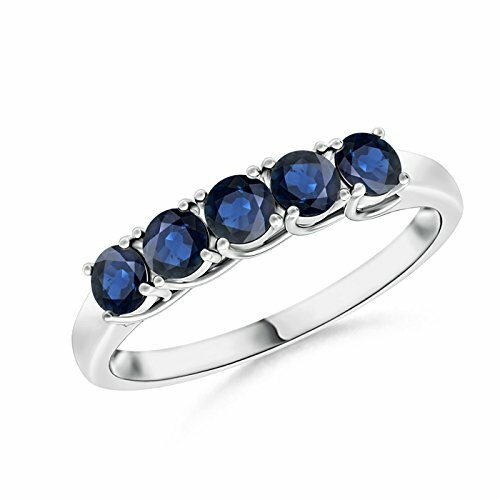 This 5 stone sapphire ring is sure to steal the spotlight.